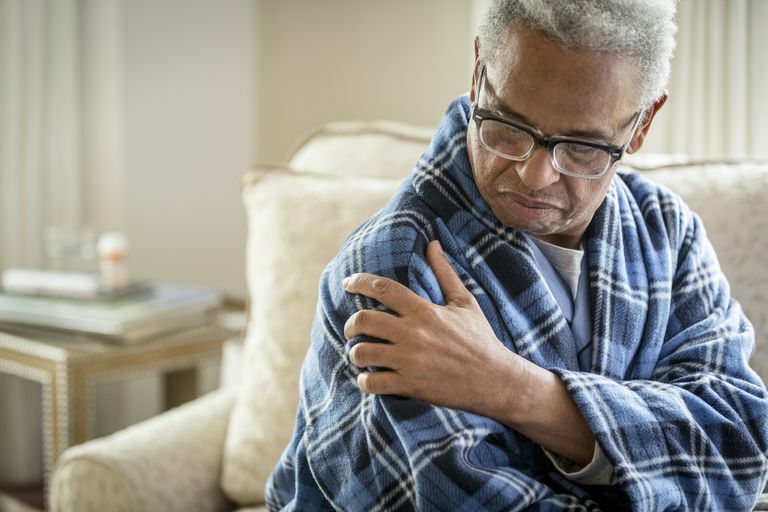 If you live with a condition like osteoarthritis or depression, you may already know how it can affect other aspects of your health, contributing to issues like weight gain, difficulty sleeping, and chronic pain. One remedy said to ease depression, arthritis, and other conditions is the supplement SAMe, also known as ademetionine or S-adenosylmethionine. SAMe is the synthetic form of a compound that is produced naturally in the body from methionine (an essential amino acid) and adenosine triphosphate (an energy-producing compound). SAMe isn't found naturally in food. The body typically makes what it needs for good health, however, some disease states and low levels of methionine, folate, or vitamin B12 are believed to contribute to low levels of SAMe. It's thought that SAMe can help promote the production of chemicals known to play a key role in a variety of processes in the body, such as mood regulation, immune function, and pain perception. SAMe is also said to enhance mental performance, boost liver health, slow the aging process, and help people quit smoking. Here's a look at some of the research on the possible benefits of SAMe. SAMe shows promise in the treatment of osteoarthritis of the knee or hip. It is said to relieve pain and have anti-inflammatory properties, and some research suggests that it may promote cartilage repair. In a report published in the Cochrane Database of Systematic Reviews in 2009, researchers analyzed four previously published clinical trials (with a total of 656 participants) and found that the use of SAMe may help reduce pain and improve function in people with osteoarthritis. Since the reviewed trials were of poor quality, however, the review's authors deemed these findings inconclusive. In a research review published in the Cochrane Database of Systematic Reviews in 2016, scientists analyzed eight previously published clinical trials comparing SAMe to the antidepressants imipramine, desipramine, or escitalopram, or a placebo. SAMe was superior to a placebo when used with selective serotonin reuptake inhibitor (SSRI) antidepressants, but the evidence was considered low quality. Compared to imipramine, fewer participants experienced adverse effects when treated with an injectable form of SAMe. SAMe wasn't different from the placebo or antidepressants such as imipramine or escitalopram when used alone. In their conclusion, the review's authors state that the use of SAMe for depression needs to be investigated further in larger and better-planned trials "given the absence of high-quality evidence and the inability to draw firm conclusions based on that evidence." In a research review published in the Journal of Complementary and Alternative Medicine in 2010, scientists looked at 70 previously published clinical trials evaluating the use of various types of complementary therapies for chronic fatigue syndrome and fibromyalgia. Along with magnesium, L-carnitine, acupuncture, and several types of meditation practice, the review's authors named SAMe among the therapies with the most potential for further research on their effectiveness against these conditions. SAMe may improve liver function in people with chronic liver disease, suggests a research review published in the journal PLoS One in 2015. However, in evaluating the 12 previously published clinical trials included in the review, the authors also found that SAMe may of limited benefit in the treatment of certain liver conditions such as viral hepatitis and cholestasis. Side effects of SAMe include anxiety, constipation, diarrhea, dry mouth, headache, heartburn, insomnia, gas, low blood sugar, nausea, nervousness, skin rash, and vomiting. Large amounts of SAMe may cause mania (an abnormally elevated mood). There's also some concern that the use of SAMe can trigger an allergic reaction in some people. If you have bipolar disorder, Lesch-Nyhan syndrome, Parkinson's disease, or other health conditions, you should only use SAMe under the supervision of your healthcare provider as it may worsen symptoms. It's important to note that there may be risks when combining SAMe with medication or other supplements. You shouldn't take SAMe in combination with antidepressants, cough medicine, diabetes medication, levodopa (L-dopa), L-tryptophan, medications that affects serotonin levels, St. John's wort, or other medication unless you are being monitored by a health professional. SAMe should be discontinued at least two weeks before a scheduled surgery. The safety of SAMe in children, pregnant or nursing women, or people with kidney or liver disease hasn't been established. You can get tips on using supplements safely, but you should speak with your primary care provider before taking SAMe to discuss whether it's appropriate for you. Keep in mind that SAMe shouldn't be used as a substitute for standard treatment. When selecting a brand of supplements, look for products that have been certified by Consumer Labs, The U.S. Pharmacopeial Convention, or NSF International. Look for SAMe supplements with an enteric coating, which helps protect the supplement from being released in the stomach, where stomach acid and enzymes can destroy the main ingredients. This allows the supplement to stay intact until it reaches the small intestine. Can you get SAMe naturally from food? SAMe is not found in food and is produced naturally in the body. However, people with low levels of methionine, folate, or vitamin B12 may have difficulty producing enough SAMe. Living with any chronic condition isn't easy. While some studies suggest that SAMe may offer some benefits, we can't be as solid about the connection until there are well designed, large-scale clinical trials (the type of research you would want to see to put full stock in a treatment). It's also important to keep in mind that SAMe shouldn't be used in conjunction or in place of treatment recommended by your doctor. If you're considering trying a SAMe supplement, be sure to talk with your doctor to weigh the pros and cons and discuss whether it's appropriate for you. Rutjes AW, Nüesch E, Reichenbach S, Jüni P. S-Adenosylmethionine for osteoarthritis of the knee or hip. Cochrane Database Syst Rev. 2009;(4):CD007321. doi: 10.1002/14651858.CD007321.pub2.